Greek restaurants across the USA had to adapt and adjust their menu and recipes. This usually happens with in three ways: i) the adaptation of classic recipes to whatever ingredients are available ii) the adaptation to the taste palette of the locals and iii) the adoption of dishes from other countries just because the locals seem to like them. Actually one of the most classic dishes, the poster child of the Greek food, the gyro sandwich originated in its final form in New York by Greek food track vendors out of necessity to battle tacos and shawarma as a fast food alternative. 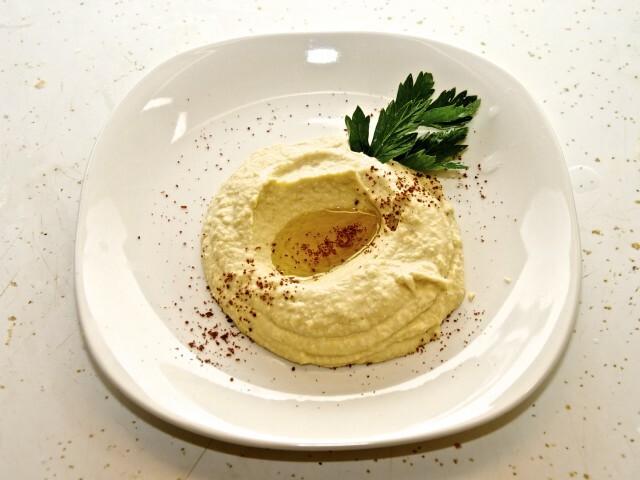 In the restaurant scenery, one of the Greek adopted dishes was, and still is, the hummus.